It's no secret that the appointment of Ravi Shastri as India's head coach was a highly controversial move. After all, he was replacing Anil Kumble, a highly respected legend in Indian cricket, who had been very successful in his stint as India's coach. Of course, it later emerged that Kumble was replaced as a result of Kohli's dislike for Kumble's hard-nosed style of managing the team's affairs. But, it was the appointment of Ravi Shastri to succeed Kumble ahead of a pool of highly qualified candidates that gave rise to conspiracy theories and allegations of favouritism. Nevertheless, now, India's tour of England has resulted in another disappointing loss. The combination of Shastri and Kohli is clearly not getting the job done. 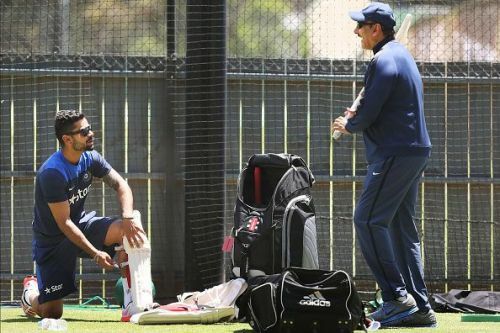 So here are three reasons why the Shastri and Kohli partnership must be broken. The bottom line in evaluating a coach or a captain's performance is by looking at the team's performance. India has now lost both its high profile overseas tours decisively. Shastri and Kohli had led us to believe, at the beginning of the year, that this team was destined for better results. 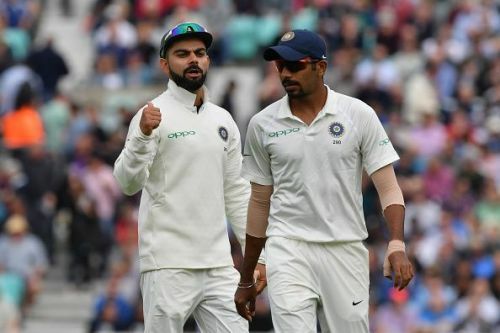 The reality, after the completion of two of India's three high profile overseas tours of 2018, couldn't be further from that prognostication. What's troubling is that the public comments from the coach and the captain suggest that they aren't particularly bothered by the losses. And that is a recipe for continued bad performance. One thing that has become clear about Kohli is that he loves to have full control of the coach-captain management apparatus. That explains why he couldn't get along with Anil Kumble, who clearly wouldn't cede control of any of his powers as the coach to Kohli, the captain. In Shastri, Kohli has found the perfect "yes-man" who's happy to let Kohli run the show. Such a dictatorial type of attitude from the captain reflects a lack of respect for the coach and that negativity ultimately manifests in the team's performance. So, a set-up in which the coach's role is minimized by the captain, who himself is relatively inexperienced, is a situation tailor-made for the team to continue to fail. An important drawback of Virat Kohli's captaincy is his impulsive behaviour. To an extent, that is expected from a relatively new and young captain who's anxious to produce results. However, a young captain needs the coach to be the "adult" in the room. The coach must rein in the captain when the captain has over-stepped his purview and must support him in times of duress. Shastri does neither. For instance, when Kohli made the decision in South Africa to not play any practice games, Shastri should've known better. He should have, in the interest of the rest of the team, advocated for at least a couple of practice matches to help the team acclimatize to the alien conditions. But instead, he further justified that erroneous decision by making a series of bold predicaments himself. 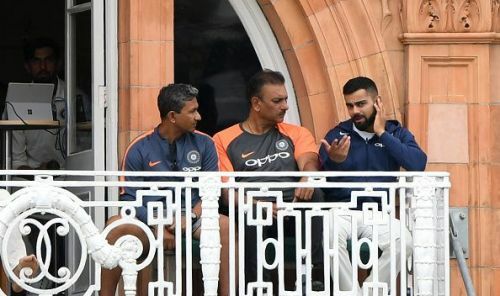 Then, when the team lost the series and it was apparent that practice matches would have helped them perform better, Shastri simply did not take the fall, to protect his young captain. Instead, it was Kohli who stood in the line of fire and took the brunt of the criticism from the media, former players and fans. Incredibly, history repeated itself in England, in the very next series. The captain made the same set of mistakes and the coach, like in South Africa, stood by and cheered him on. Not surprisingly, the team's performance in England was even more dismal than in South Africa. 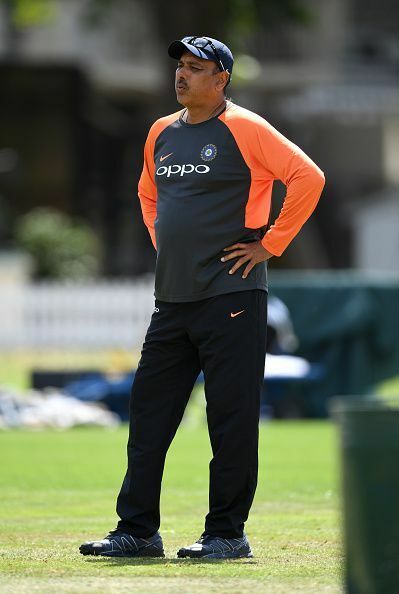 So, it's clear that for India to move forward they need a more compatible, competent and mature coach who has the credentials to manage a young captain and the ability to help prepare the team to perform to its maximum potential. To start that process, first, the partnership between Kohli and Shastri must be broken. Is it time to replace Ravi Shastri?